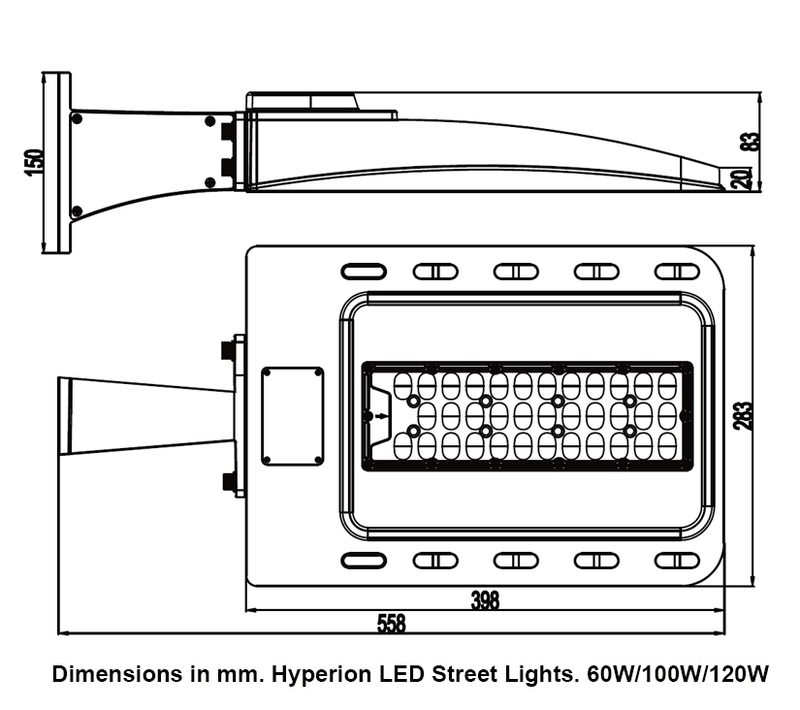 Hyperion LED STREET LIGHT 120Watt. Ultra Bright Durable Lighting for Safer Streets. The Ledison LED Street Lights are built with LED CREE modules that are connected in parallel to achieve different lumen output. Using the Nuventix heatsinks, the large surface of the extruded heatsink extracts more heat, that cooling technology raises the lumen output and extends the life of LED chips. In addition, a heat spreader conducts heat from the LEDs to the heat sink. The LED Module with LED CREE chips and optic lens mounted on a high performance aluminium heatsink.